Wireless headphones have been out for several years, but manufacturers are quickly finding ways to make them better. The first generation took a standard pair of over-the-ear headphones and removed the signal wire going to your favorite music device. 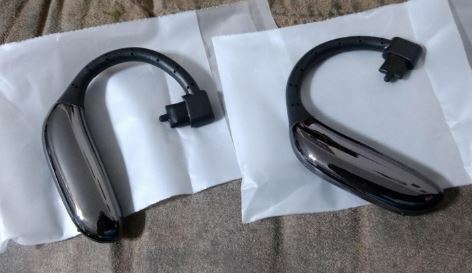 Next, vendors made these headphones more compact, producing earbud-style headphones with a single behind-the-head wire connecting the two buds. Today, manufacturers have finally done away with that last wire. True wireless earbuds feature two independent pieces, each of which functions entirely on its own. They don’t have to be physically tethered together, providing drastic improvements to both comfort and functionality. Unfortunately, true wireless earbuds aren’t without their flaws. Early models suffered from short battery life, high weight, and a limited range. We had the opportunity to test out the LiteXim TW-28. These are the manufacturers top-tier earbuds, but they’re still fairly inexpensive to purchase. 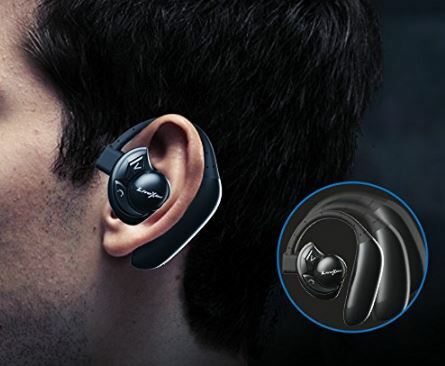 The TW-28’s have a unique design that promises to do away with many of the functional issues facing this type of earbud. How well do they accomplish these goals? We went hands-on to find out. As far as earbuds go, these are some of the better looking ones we’ve come across. There are three main components. The long lobes on the back sit behind your ear, and are protected by a metal enclosure. They’re smooth to the touch, and feel solidly made in the hand. 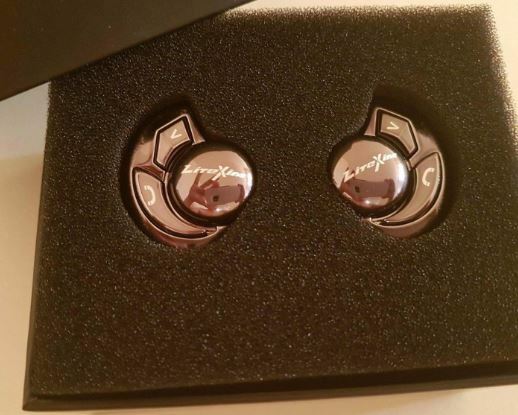 The earbuds themselves are also wrapped with a metal enclosure and have two buttons on the back. The buttons are used to answer or initiate a call, while the other is used for pairing. These two pieces are attached with a long rubber ear hook. This hook is highly flexible, but soft. This allows it to adapt to any ear size, giving it a universal fit. The layout is intelligent, but no sacrifice to visual appeal was made. Even though the design is a little busy for some, we found it to be sleek and stylish. It’s not going to stand out as much as some of the fashion-centric earbuds, but the stylish look will look good on any ear. It’s challenging to produce earbuds that are both powerful and comfortable. True wireless earbuds have more electronic components inside of them, and this can add a lot of weight. Most of the time, all of this weight is located right inside of the earbud itself. This puts a lot of pressure on your ear canal and can cause the earbud to fall out while in use. LiteXim came up with a creative problem to this solution. Because the large lobes are located at the back, the weight is evenly distributed between the earbud and the back. All of the weight falls on the top of your ear. When distributed across the large hooks, it doesn’t really feel as heavy as other models. You do feel much more “presence” on your ear. You can feel the lobes, and you can feel the hooks. While this may be different than you’re used to, we found them to be much more comfortable than the alternative design. With their other model, the TW-18, LiteXim went for a neutral sound stage that works well with acoustic music, as well as songs that highlight the vocals. This trend carries over to the TW-28s, but we noticed a marked improvement. The bass is a little more present, creating a sound signature that is very warm and inviting. The details of the music are much more pronounced, sounding a little more analytical but far from harsh. They have excellent sound staging, doing a good job of isolating separate instruments and blending them together in a harmonious way. Overall, they have a very engaging sound to them. There is a lot of presence, and your music is performed in a way that best highlights its strongest elements. While we wouldn’t consider these to be audiophile grade, you’ll still notice a pretty significant improvement against the earbuds that came bundled with your smartphone. LiteXim has integrated the latest CVC 6.0 noise cancelling chipset. CVC is a standard chipset providing active noise cancelling functionality, considered by many to be the best in the industry. It works by using the built-in microphone to record all outside sound. Whenever something is picked up, it produces the opposite sound with the built-in driver. Although CVC is a commonly used chipset, we found the noise cancelling to be a lot more accurate than we’ve heard with other implementations. A lot of this has to do with the accurate drivers. If these earbuds can create an accurate representation of your music, then they can also cancel out sound accurately. If you want to test this for yourself, all you have to do is turn on noise cancelling without any music playing. Even when in a busy subway terminal, you’ll hear nothing but silence. Compared to passive noise cancellation usually found at this price point, the TW-28’s were extremely impressive. The metal enclosure helps ensure that these headphones can last you a very long time. They’re extremely solid in the hand, and we don’t have any concerns about them cracking or splitting at any of the weak points. Often, this behind-the-ear design risks splitting the headphones if they’re bent or crushed. Because the ear hook is made from a malleable rubber, their flexibility prevents them from cracking and relieves pressure at all of the joints. While they’re not the kind of headphone you’re use for aggressive outdoor activities, they’re still much more durable that many other options on the market. Waterproofing is one of the key features many fitness enthusiasts look for. Whether you’re jogging in the rain or working up a sweat, small amounts of moisture can completely destroy some earbuds. Having earned an IPX6 certification, these earbuds do provide some level of waterproofing. They can’t be used in the pool, and you’re taking a bit of a risk using them in the rain. But they’re completely sweat proof, so you don’t have to worry about damaging them during exercise. Battery life is a major problem with true wireless earbuds. 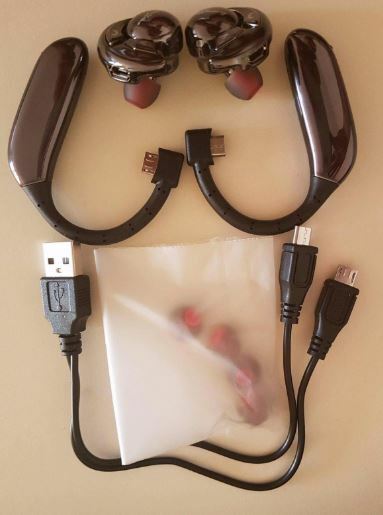 Each earbud needs it’s own receiver, amplifier, and battery. This doubles the size, and doubles the amount of electricity used. The large lobes at the back allowed LiteXim to use larger batteries, providing an unprecedented 8 hours of battery life. This rating does vary with the volume. As long as you’re below 75%, you should get the full 8 hours. But if you like your music cranked, you can expect to get about 6 to 7 hours of usage in between charges. 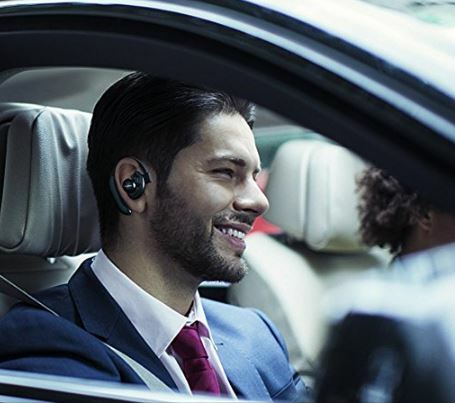 Like most earbuds on the market, the TW-28’s provide the ability to take hands-free calls. The microphone is extremely accurate, with many of our callers noting that we sounded just as good as when talking directly to our handset. We also appreciated the fact that the answer call button was physically depressed. With touch sensitive buttons, it’s hard to know when you answer your call. Additionally, this button can be used with Siri or any Android based voice-assistant. Another neat thing about these true-wireless earbuds is the fact that each earbud can be used independently. You can use a single one if you want to keep an ear free, and the second can be shared with a friend who wants to hear their own music. You can also sum the music to mono, so both you and a partner hear the entire song when sharing. The waterproofing feature makes these earbuds great for runs, but we wouldn’t recommend them for long distance running. The enclosures are made from metal, and when they get sweaty they become a little slippery. We found that they could shift out of place while in use, making them a little frustrating to use in long distance or aggressive physical activity. The LiteXim TW-28 Earbuds are the one of best applications of true wireless technology we’ve come across. Even though they’re a little larger than some, they’re still extremely comfortable to wear around the ear. 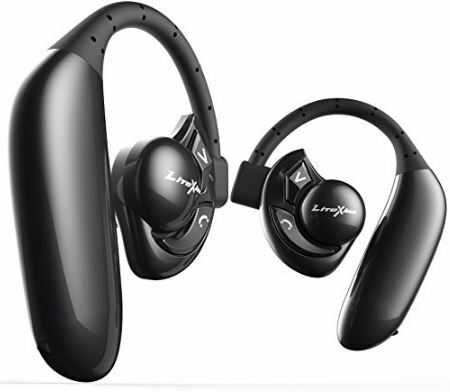 The added size also allowed for an improved battery life that keeps them competitive with wired Bluetooth earbuds. Additionally, the incredibly accurate noise cancelling makes them perfect for use in a loud or busy environment. 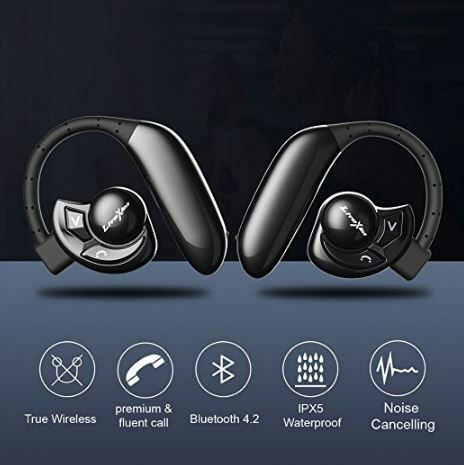 Are these the headphones for you? If you like a lot of in-your-face bass, they probably aren’t. But if you’re looking for a pair of earbuds with incredible accuracy, then you’ll love the well articulated sound of the TW-28s. For the money, it’s hard to find something that comes close to them.